Sad Aussie has-been Kevin Rudd must be angling for an invitation to hang with DiCaprio at his mansion, sycophantically praising Leo’s idiotic and juvenile climate rant at the Oscars ceremony. Latika at the Sydney Morning Herald can’t get enough of it, natch. Kevin Rudd has described Leonardo DiCaprio as the “real deal on climate change” and praised the actor for using his first Oscar acceptance speech to urge global action on climate change. The former prime minister washed-up old has-been sent his congratulations to DiCaprio, who finally won his first Academy Award more than 20 years after first being nominated, early on Tuesday morning Australian time, and told Fairfax Media the actor was genuine on the issue. “Congrats Leo DiCaprio on Oscars win. About time,” the former Labor leader said. “Inspiring speech calling for global co-operation on climate change,” he said. It’s taken so long for Leo to win an Oscar, he turned up with a speech about climate change that was twenty years out of date. When he finally got the nod from the Academy, he trotted out the predictably tedious climate alarmism that might have been stirring or relevant a decade or so ago, but which is almost quaint by today’s standards, when even Michael Mann’s flaccid stick acknowledges the existence of The Pause. ‘Making The Revenant was about man’s relationship to the natural world…climate change is real,’ said DiCaprio. ‘It is happening right now. Yawn. The irony is that for almost all the period he has been twiddling his thumbs waiting for his little statuette, there has been essentially no global warming. Leo then went off in his petrol-fuelled motorcade to fly home in his kerosine-powered private jet. I love the smell of hypocrisy in the morning. 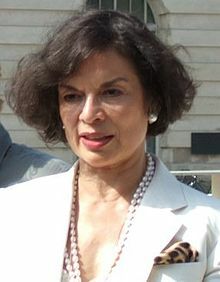 Whatever her youthful reputation as the wife of a world-famous rock star and glittery jet setter, Bianca Jagger has committed much of the past 30 years of her life to advancing causes associated with human rights and environmental protection in the developing world. On Sunday morning, during a side event connected with the annual UN climate negotiations here in Lima, Peru, the 69-year-old Jagger sounded every bit the international diplomat she’s become in recent years. Delivering an impassioned 13-minute talk during a panel discussion, she spoke bluntly about the perils of climate change and the need to restore both destroyed and degraded forests as the best strategy to reduce the ongoing damage. Next up, Leo di Caprio, leading a conga-line of Hollywood A-listers who travel everywhere on private jets and consume enough electricity to power a small African republic, but expect everyone else to sacrifice their already inferior quality of life to ‘save the planet’.